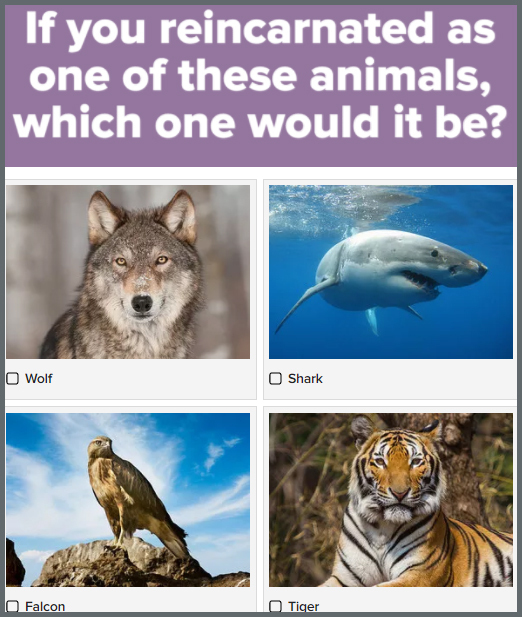 BuzzFeed first changed the digital landscape with listicles and gifs and then four years ago re-introduced us to quizzes that were packaged differently. Result: they became an instant hit with the masses. We wouldn’t be surprised if you say you’re one among 22 million (and counting) people who took their most popular, What City Should You Actually Live In quiz! Tracing BuzzFeed’s quiz-gone-viral backstory, we stumbled upon an interview Summer Anne Burton gave to the Huffington Post. She mentioned that the BuzzFeed team was “making quizzes slowly, but nothing crazy.” She said that initially one of their most shared posts was a quiz, called “Which ‘Grease’ Pink Lady Are You?”. She kept mentioning it in meetings and apparently it resulted in the team making more quizzes. There has been no looking back since then. 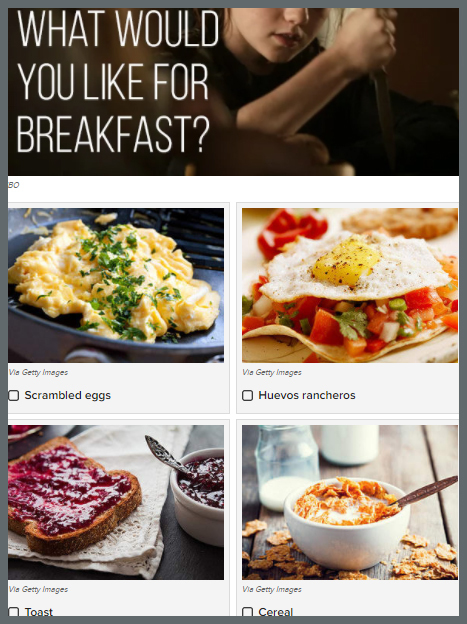 Currently, about 96 percent of users who start BuzzFeed sponsor quizzes finish them! 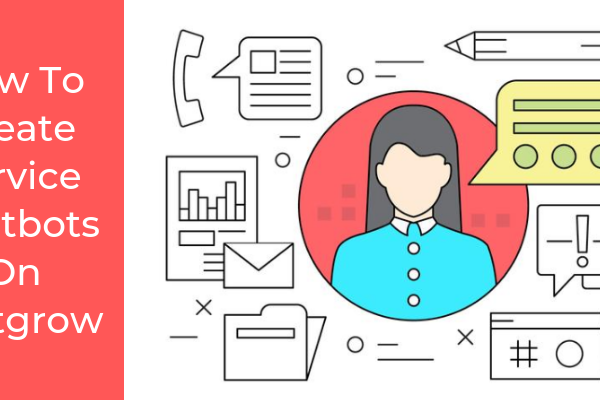 Given the undeniable popularity of BuzzFeed-style quizzes, we believe it should be a key component of your inbound marketing strategy too. Since everyone loves taking them, marketers should use them to increase their social media presence and get more traffic and leads. 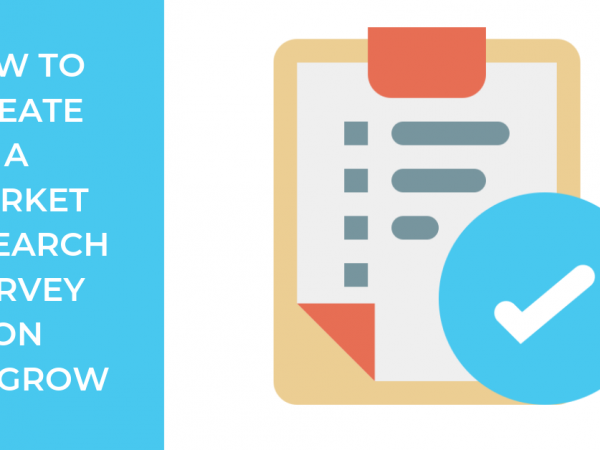 Here are a few things you ought to keep in mind when creating a BuzzFeed-style quiz. BuzzFeed quiz titles aren’t boring. On the contrary, they’re exciting and connect with you almost instantaneously. It’s as if your best friend is sitting right across you and asking a set of questions. Who wouldn’t then want to take one quiz after another, right? So, how is it that they manage to do so? 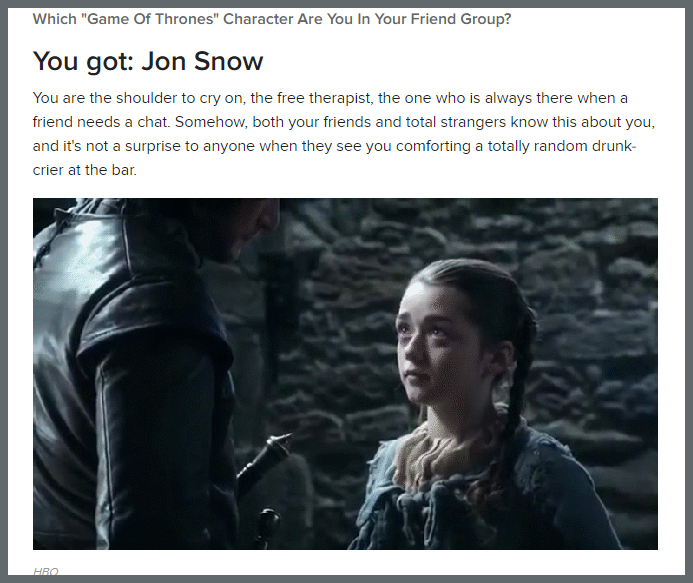 The answer’s pretty simple: they make the quiz ABOUT YOU in many different ways. And, it’s not just the very obvious use of personal pronouns like “you” or “yourself”, in the title and in subtext. They work out the themes quite carefully so that you can’t say no to taking it! Let’s analyze a few quiz titles and their impact on us. The following quiz touches upon YOU as someone in a parallel universe. That is quite a temptation! Of course, the results are inconsequential (does a parallel universe even exist?! ), but it’s fun to know an alternate reality about YOURSELF! The next quiz, in particular, tests YOUR knowledge of Simpsons. 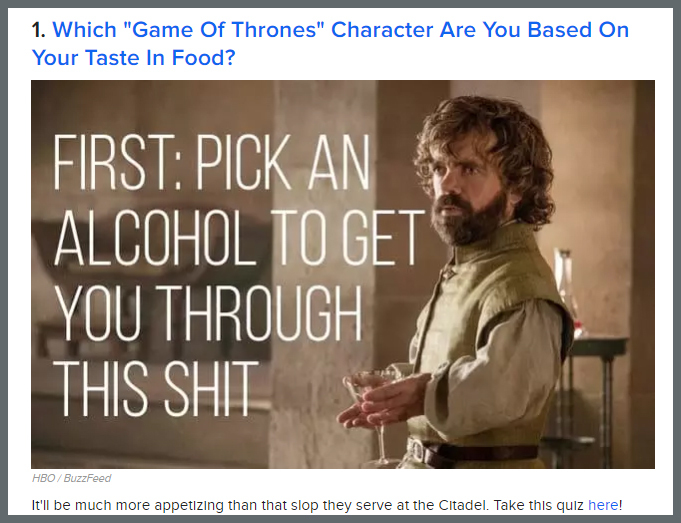 The “infuriating hard quiz” triggers YOU into finding out whether it is hard as it claims to be, especially if you are a real fan and not another binge watcher! 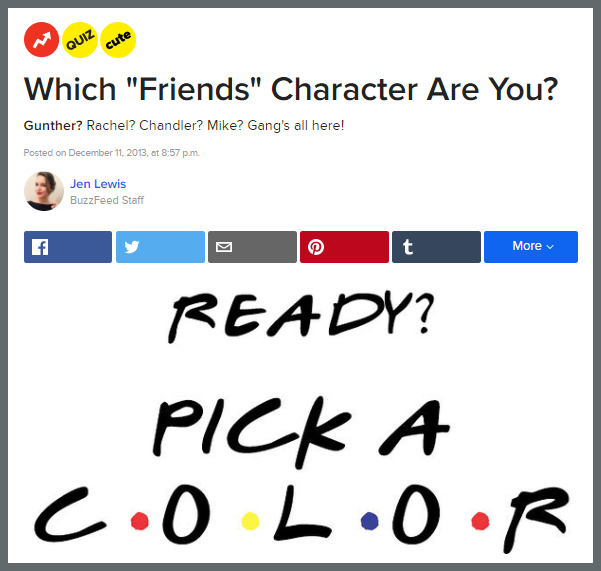 On the importance of visuals, Burton in another interview revealed that “since nostalgia is woven into BuzzFeed’s fabric, tying in strong visuals is a must.” As is evident, it can be seen in one of their first successful quizzes of 2013, “Which FRIENDS character are you”. They used the actual color palette and typeface that was used on the show. Images like these help to spice things up and give each quiz its own personality. Even color coding question and answer sections can go a long way. We perceive information in images. Imagine the amount of visual content we are exposed to every day in form of tv ads, body language etc. It comes as no surprise then that images perform better than text because it takes 0.25 seconds to process them! 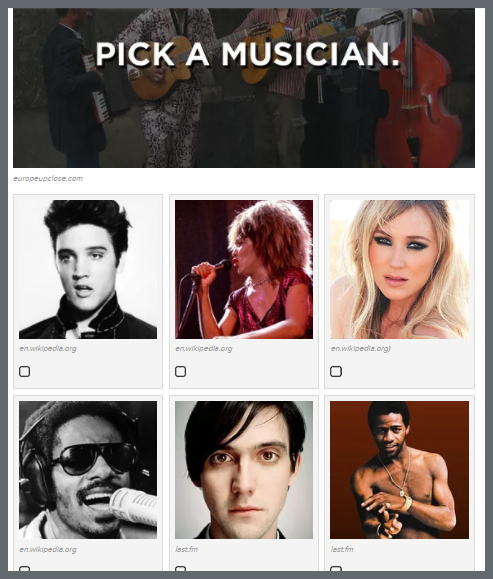 So, don’t forget how important a role images play in an interactive medium such as a quiz. Now, if these images are replaced with just text. Would it be as interactive as it is right now? As a final word on the usage of images: choose them carefully. They should communicate your thought clearly and words and images used must complement each other. People love it if you talk directly to them and most BuzzFeed quizzes are based on that premise. They make a generous use of ‘you’ in questions and that tends to make it seem like a one-to-one conversation. It becomes a personal experience whether people are taking the personality-type quiz or a trivia or assessments. Now, just to verify if ‘you’ is really a game changer, let’s take the same study that we referenced earlier. 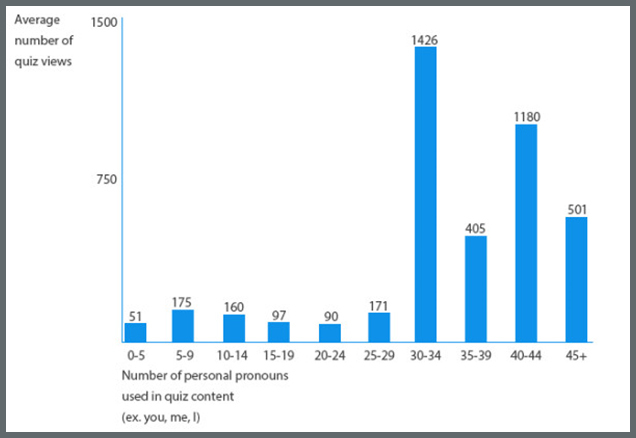 A BuzzFeed quiz categorized based on how many personal pronouns i.e. ‘i’, ‘you’, ‘me’ is present in the questions of each quiz. 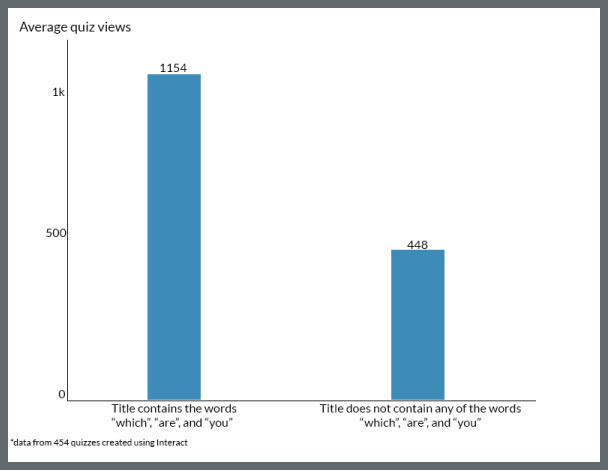 The results revealed that quiz with about 30-34 personal pronouns in its content generated the maximum number of views. 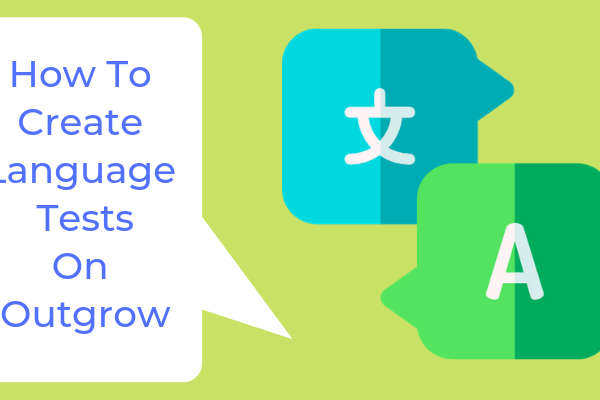 Make sure you are using ample amount of personal pronouns in order to lend a conversational tone to your quiz. 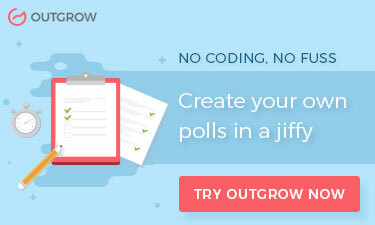 Want to Create Buzzfeed Style Quizzes? 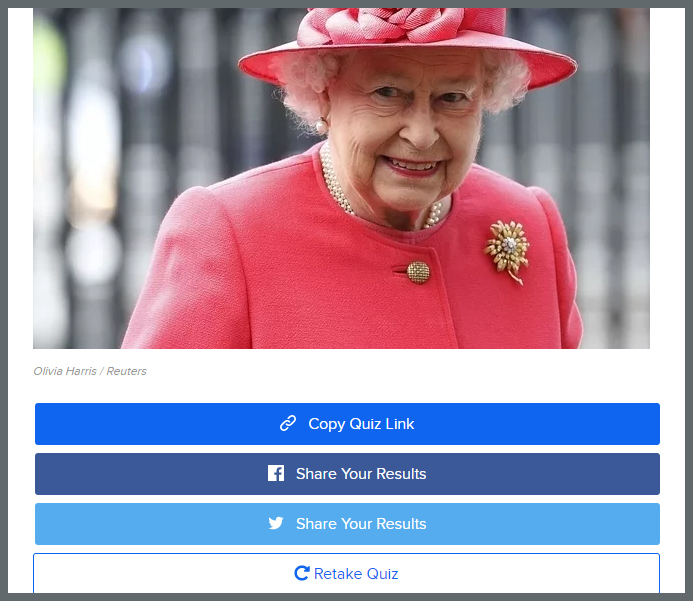 We've got you covered with our Creatives Guide to Viral Quizzes. Download it Here. Have you ever come across a BuzzFeed quiz result that is mean? No, right? Our observation confirms the same. The results that they write are positive, personal and visual. A study confirms that quiz results with positive words like ‘awesome’, ‘excellent’ and ‘great’ get tweeted more than those that don’t have any kind of positive reinforcement. When quiz takers see uplifting results they want the world to know and also compare their results with their peers. It gives every kind of a person a chance to show who they are and what sets them apart. Moreover, it sets a ground for a conversation! Now, even if people know that results don’t actually have a scientific basis they still go on and share results. 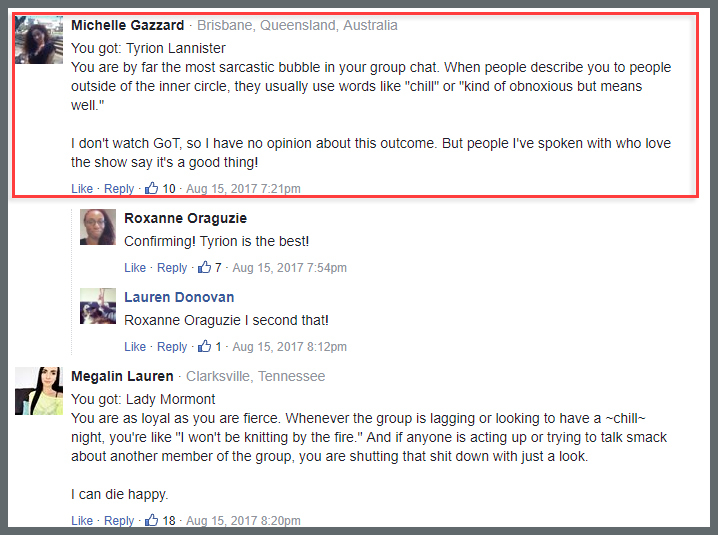 Also, if you see in the screenshot below, a quiz taker who doesn’t even watch Game of Thrones goes on to take it and shares her results. That’s how big the quiz craze is! Talking about how many times a quiz is shared, BuzzSumo confirms that on an average it gets shared about 1,900 times. Oh and by the way, if you’re not living under the rocks, BuzzFeed quizzes are so much fun that celebrities take them too. 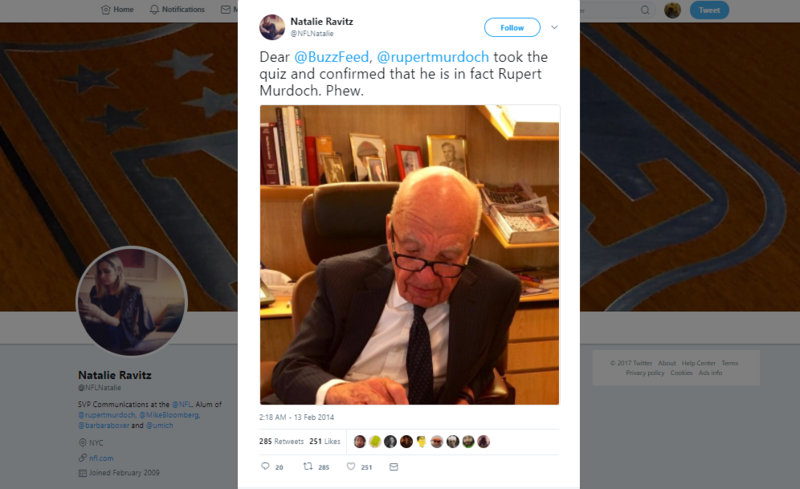 Here’s a photograph of Rupert Murdoch getting Rupert Murdoch as an answer to the quiz, 'Which Billionaire Tycoon Are You?'. Talk about quizzes going meta! 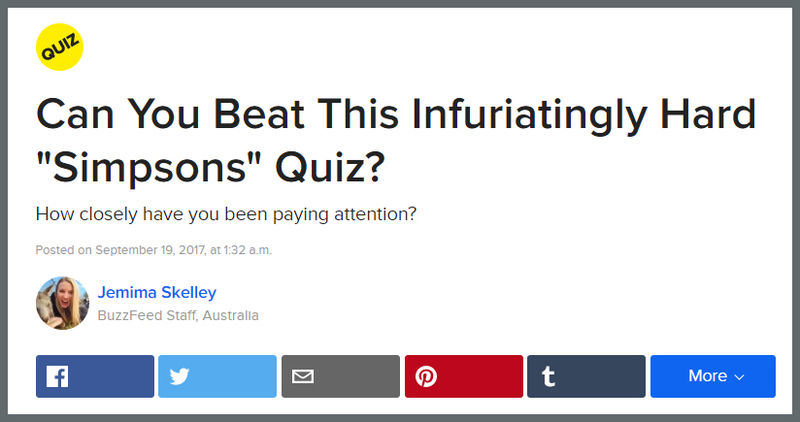 Ideally, your quiz shouldn’t have more than 10 questions which is what BuzzFeed follows too. Lesser the number of questions the higher the completion rate of the quiz. One of the simplest reasons for this is that people don’t have much time and attention to spare. There’s so much going on in the internet world that if you bore them with a lot of content or make them put more effort they are likely to exit the page. And, as it is, by now all of us do know that our attention span is less than that of a goldfish i.e. barely 8 seconds! Can’t take a risk, right? 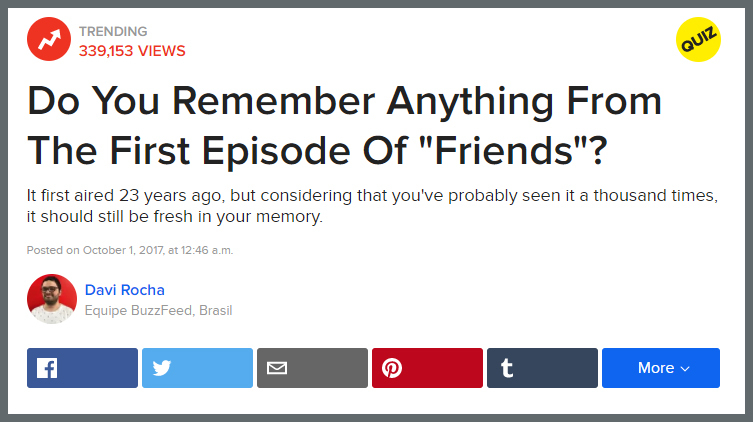 BuzzFeed knows the power of social media where people share everything. With that in mind, they had to then make it easy for people to share quiz results! If you’ve taken any of their quizzes you’ll notice that the share options are provided right below the answer people get and it is unmissable. Talking about data, 84% of shares of quizzes happens on Facebook. You too should give your users options to share your content across the social networks like Facebook, Twitter, LinkedIn, Google. 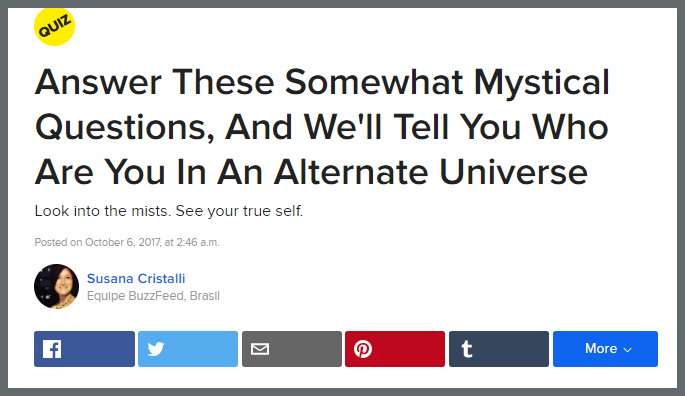 So, now you know the magical formula to creating a BuzzFeed-style quiz? It’s really that simple! A quiz can become an interactive way to engage with your target audience without eating up on their time! 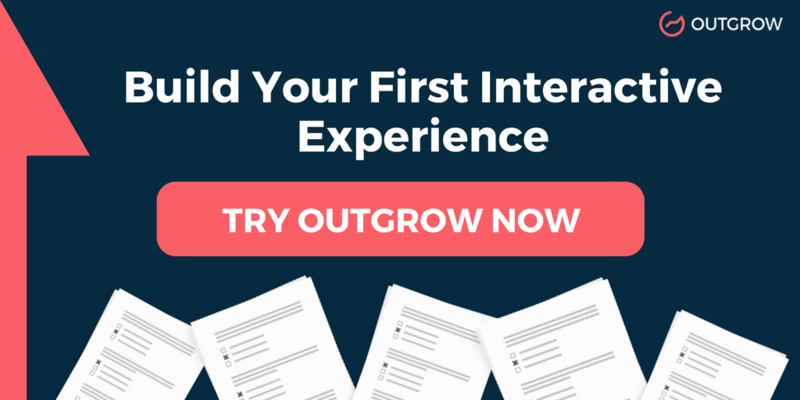 So, get going and create quizzes that will bring you results in your business!